Nearly sixty monuments, including castles, monasteries and bridges, make up the Portuguese Romanesque route. The north of the neighboring country is populated by medieval vestiges that coexist, in many cases, with traces from later times, forming one of the most recognizable heritage emblems of Portugal. The peculiarity of this architectural style lies in its ornamentation, presided over by geometric, vegetable and animal motifs, and of great sculptural quality. Along the valleys of Sousa, Támega and Duero, it is possible to make a journey through the origins of the country. In some of the constructions of the Portuguese Romanesque resided noble families who helped the first monarchs in the Reconquest. Others belonged to the religious orders and the clergy, which agglutinated political, economic and spiritual power and helped the settlement of populations. 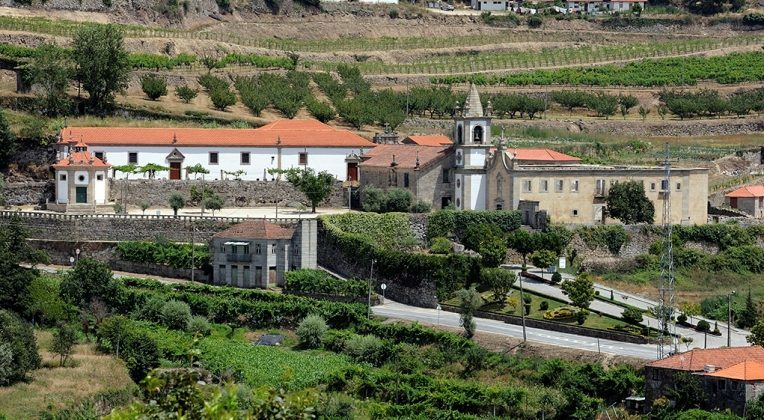 In this route we find 19 monuments, among which is the Monastery of Santa Maria de Pombeiro, located in the municipality of Felgueiras, in Porto. 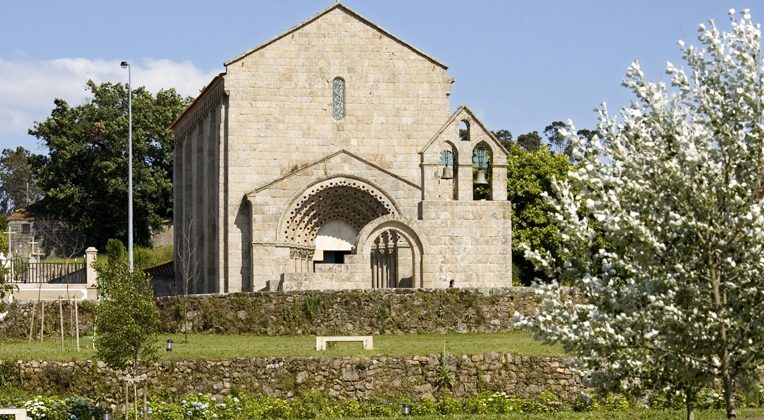 It is one of the most significant Benedictine monasteries between the Douro and Miño areas. The construction of the temple was completed approximately in the first decades of the 13th century and, despite having undergone two reforms during the 17th and 19th centuries, it still retains original features such as the characteristic capitals of its main façade. Another one of the testimonies of the Romanesque in Sousa is the Church of the Monastery of San Pedro de Ferreira, from the 10th century. This construction has a great quality and decorative variety. Proof of this are the influences that some of his sculptures have of Almohad art, used in the construction of other monuments such as the Giralda in Seville. One of its particularities is that it preserves, before its main façade, the ruins of a funeral parish church, a characteristic construction of some of the Portuguese Romanesque churches. If there is a population that gathers a greater number of Romanesque remains, that is Amarante, belonging to the district of Porto. In it, there is the Travanca Savior Monastery, founded in the 12th century and which has one of the most beautiful medieval towers of the neighboring country. The exterior presents an impressive structure, divided into three naves. The ornamentation is characterized by protruding supporting stones of a bovine shape and archivolts depicting birds, snakes and human figures. The interior is characterized by an artistic eclecticism, with influences from different eras. Thus, the sacristy, has a baroque spirit in the paintings of the ceiling, fruit of the reforms initiated in the Modern Era. Another treasure of Amarante is the Castle of Arnoia. Qualified as a National Monument since 1946, its structure is divided into four defensive elements: the homage tower, the quadrangular tower, a door and the cistern. The construction of this castle is framed in the movement of fortification that was developed between centuries X and XII, when the European territory began to take conscience of the necessity to defend to the local populations against the enemy attacks. In this section of the route is located the Monastery of San Andrés de Ancede, located within the district of Oporto and declared a Monument of Public Interest. Its construction dates back to the 12th century and, over several centuries, it enjoyed an important heritage linked to wine production, something that increased the economic power it had. Its medieval church was destroyed in the sixteenth century, when the monastery passed into the hands of the Dominicans. At that time, the current temple with three naves was built, which combines Romanesque elements, such as the rose window or the walls of the headboard, with paintings from the 16th to the 18th century. Another of the Monuments of Public Interest of the Douro Valley is the Chapel of Our Lady of the Liberation of Fandinhães. The current construction is what remains of the parish church of San Martin, an enigmatic temple in ruins, fruit of what some attribute to a dismantling and others to an incomplete structure.